This is the place where you find out what goes on in Mark's workshops past. Tears or tantrums?? Or triumphs and tarts (the ones you eat I mean, sheesh)?? A whole lotta info for you to have a squiz at. If you are interested in attending a workshop in the future, have a stickybeak at our workshops past to see what we all got up to! And when you've done that, you might like to go back to our Upcoming Workshops page & see what's coming up! "Drama and Contrast - Making Waves"
We had a great workshop in the Somerset Region of QLD in Esk exploring dramatic backdrops and turquoise waves! For the workshop flyer, click here. And for the extensive notes on the weekend, click here. Mark’s classes are so relaxed and such a good laugh and everything is so well set out and organised. Good to see Mark doing so well now too, you guys are a great team and hopefully I’ll see you at a future workshop. The art set up was well presented, very thoughtful. Personally I totally had a wonderful time watching , listening and attempting to paint what Mark was teaching. Mark is very giving of the techniques and experience he has taught himself through his art journey.. I love the way he has totally observed / studied the waves, the colours and there numerous formations. I especially love the warm hearted down to earth person he is.. Thankyou Mark..To Frankie, your an angel.. the water to drink was constantly filled , awesome nibblies you were constantly helpful and extremely respectful.. Follow up and documentation of the weekend is overwhelming.. I am so grateful.. Thankyou Cartia..
Hey Mark and Frankie. On behalf of myself and Cartia we would both like to thank you again for the workshop. It was well and truly a great experience. You both made it easy to fit into the routine you have. And we both learned a great deal, me , especially about how versatile and interesting Acrylics can be. And if you have any weekend workshops down Lennox way count me in. You never disappoint Frankie, great notes and thanks for the recipe So wonderful to see Mark doing so well and I learnt heaps. Thanks to Mark for a lovely workshop and also thanks to you for managing it all so efficiently. "Water - It's Time To Reflect"
A beautiful time was had in the sun-drenched Autumn goodness of the Woolgoolga Art Gallery! Thanks to our ladies at the WAG for having this lovely space available for us! For the workshop notes, click here. Just to say a big thank you for the extra work you put in for me this weekend. I came away with my head buzzing with things that I want to try. All the work behind the scenes you put in did not go unnoticed. It made for a very satisfactory weekend for all of us. I received my notice for Thursdays class. Thank you. I just wanted to thank you and Mark for a fabulous workshop. I have so many things to think about, try and ponder. Not least of which is how I look at the world! Please pass onto Mark how much I appreciate him sharing his talents, his skills, his personal journey and his outlook on life. I wish him well for all the challenges he faces. I just wanted to say how much I enjoyed the challenges & inspiration at the workshop. Mark is truly a legend in his style & wealth of knowledge which he so generously presented & shared over the two days. The workshop was really organised & recorded with a great lot of notes to follow in your email. I have tried unsuccessfully to acquire a bottle of the Atelier free flow from Eckersley’s - can you suggest another outlet or Avenue to chase this up? Once again many thanks for a great weekend. Many thanks again to all our lovely participants in Esk, QLD! What a great weekend filled with colour and movement. Thank you so much for your email and the links. I absolutely loved the workshop on the weekend and am looking forward to painting ASAP! Thankyou for all your organisation efforts! Loved the workshop, I am now thinking of everything in terms of a colour hour (it’s currently just shifting out of yellow hour here!). Also been watching the waves and pictures of water for those perspective lines and vanishing points. Can’t think of anything I didn’t like.... only that there should be a workshop in Tassie... and frustration that the mind was willing but the skill was lacking. More time on the brush!!!!! Thanks for everything, only positives from me. I love the special piece of Mark that I now have in my home. I appreciate all that you both do and hope all has gone well with Mark’s tests. Lots of laughs were had at the Anglican Church Hall in Esk, with the beautiful Jacarandas as the glorious purple backdrop in the carpark! And for the notes, click here. I would like to thank you and Mark for another really great workshop, they are always so informative and I get so much out of them. I had to leave early due to work commitments but be rest assured I will finish my painting over the next week. I'm looking forward to the new DVD'S and the long awaited recipe book. I can’t tell you how much I got out of the weekend. Things that I struggled with have become a breeze. I now know to start with white and add little bits to it instead of the other way around! I can’t tell you how much paint I’ve wasted over time (and still not been terribly happy with the end colour). The whole process of painting relaxes me, so to be able to do it for two days in a row without having to deal with phone calls, people knocking at the door, husband’s wanting you to talk to them, etc was just wonderful. Looking forward to the weekend so I can get back into my painting! Thanks to both of you for giving us this experience – I’m sure everyone appreciated it as much as I did. Just wanted to let you know how much I enjoyed the workshop. It was my first so I didn’t know what to expect and thoroughly enjoyed it. Mark has a great way of teaching and made me feel at ease. I’m looking forward to painting another scene on my own. Thankyou so much for organising such a wonderful weekend workshop. I thoroughly enjoyed the experience . You and Mark are a great team and I learned so much from the experience. I look forward to seeing you in Lennox Head and hope to be able to complete my paintings in Mark’s class there. And to read some of the lovely feedback from the participants, scroll on! So much to thank you for. Firstly to Frankie thank you for all you do to make Mark’s workshops run so smoothly. Also thank you for these great photos. And for the V-log. I haven’t tried it yet but will battle with the computer today and hopefully work it out. To Mark, thank you for your time, generosity and endless passion for what you do. Thoroughly enjoyed the weekend and once again learned heaps. Mind you, it will take me a year to get it right, but I enjoy the journey. Mark, you are an inspiration in more ways than you know. Sorry for the late reply. I would just like to say I really enjoyed the workshop and look forward to attending more. Mark is an excellent teacher and happy to help. You also do a wonderful job with the notes they are great to look back on. For the workshop outline, click here. thanks for a really great day today,loved it. Thank you for such comprehensive notes – these are great and so quick! My honest feedback for the workshop is that I loved it. I loved that it was straight into it and following along with Mark (to the best of our abilities J). The pace was great, the banter fun, the orange biscuits fantastic and a lovely group of people. As in the other two workshops I have done with Mark, I find the information sharing really generous and helpful. I could have gone for a few hours longer but understand that is not necessarily a good thing for Mark. I would love to just hang out and paint with Mark for inspiration but I am sure that would be more of a hindrance for him J. Again, thank you both. It was a great day. For the notes on the day, click here. I attended the most recent of Marks workshop at Lennox Head Studio. 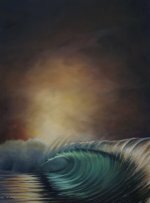 Well just let me say I found it fantastic, I learnt so much on how to paint waves, and I have done one other workshop of Mark's, also fantastic. He has not lost that fun side and everything was so easy to understand can't wait to see if I can get a place on his next workshop. Just a quick word to let you know I thoroughly enjoyed the workshop last Friday, it went very quickly. Mark is a very talented person and I can't wait to see the notes so I can finish off the painting. Again many thanks, keep me posted on future workshops. "Painting Hacks - Recipes 101"
Mark's first workshop back since his brain surgery in May went swimmingly. A great, chilled group of artists in the class, and a fantastic day. Click here for the workshop notes. Thank you very much, for making Mark's lesson possible today. I am very happy for many reasons! First, is that Mark is well, playing, and doing what he loves! Second, that he taught a great lesson today, with flare and his beautiful sense of humour. A lesson I will treasure for my life!!! Observe and Play, directly linked to colour and its beauty, for if you forget to do that, or don’t make time for it in your life, you will not enjoy the journey that life is, and miss the magic that is under everyone’s noses! Today was more than Gold, it was a diamond for me. Thank You very Much! Frankie and Mark!!! PS. Cheers and Thank you to Graham Stevenson for his colour in your life U tube program, it helped me discover Mark and his work. Thanks for the weekend had an awesome time learning from Mark. Another wonderful art workshop with Mark Waller, amazing artist and extraordinary human being. So generous with his knowledge, and happy to share so much about art and life. Just a joy to attend his first workshop today at Lennox Head Arts Collective, the first one in 6 months since he survived surgery to remove a brain tumour. He is a walking miracle and a testament to his sheer strength of will and the skill of our brilliant Aussie neurosurgeons. Many thanks to Mark, and also to the lovely Frankie Sharman who works so hard to put these workshops together, looks after us and supplies us with reams of notes afterwards...for all of us slow coaches who will never be able to keep up with Mark! A lovely relaxed day at the Lennox Arts Collective with a great bunch of people. What more could you want? Maybe some workshop notes I guess? And read on for some feedback from our chilled participants! Thank you so much for the workshop notes for the Split Personality class. lesson. Mark is a good teacher and makes it fun. I enjoyed the workshop very much and hope to get to another one soon. I really like the venue too, very central and airy. "Water - The Hard Stuff"
Another great time was had at Esk in QLD - full brains and lots of colour dominated this workshop! Click here for the extensive workshop notes. Many thanks to you and Mark for a great workshop last weekend. I have worked with a few tutors over the years, and I must say that your workshop was one of the best I have been to on many levels. Mark is very open and sharing with his information. The amount of theory and demonstrations could have been seen my many as too much, however I got more out of that than struggling to produce a work without that background information. Just a bit of trivia..........One of the "aha moments" for me was when Mark talked about figuring out sections of a painting....taking a corner and just painting that. I could really relate to that idea, and it is a great problem-solving technique. Simple but effective. Also, having the notes and photos of the workshop being taken for the students is a first for me, and a very professional approach. I suppose there is nothing like taking notes in your own words, but it's impossible to take detailed notes and keep up with what is being said, so I think having notes taken for me is a tremendous bonus, and look forward to receiving them. In my opinion, the perfect scenario would have been another couple of days....to have given us the opportunity to put that theory into practice with Mark critiquing. So, I'll be looking out for that longer workshop in the future. Thanks again to you both for making the weekend such a positive experience. Helps to organise the chaos in the brain. Many thanks to Shane at Melbourne Art Direct for hosting our first workshop in Victoria, and of course; all our wonderful workshop participants going home with very full brains! Could you please pass on my thanks to Mark for the amazing workshop. He gives 200 percent and is such a wealth of artistic knowledge which he generously shares. Thanks for all your organisation as well!!!!! Mark is such a good soul! There should be more like him. I just wanted to give you guys some 'feed back', as I'm sure you like to hear some after workshops with Mark. Just kidding Frankie, it was great!!! Mark was easy to listen to, entertaining, inspiring and made you feel like you could (with practise) paint too. I love the wholistic approach, as in taking more time for body, mind and soul to appreciate all around us a lot more. I will keep in touch, and would love to do the week long workshop In NSW when it comes up. I had a fantastic workshop with Mark on the weekend and would like to say thank you for organising it. I hope you received my payment and I will be sending a further payment to finish paying for two paintings Mark whipped up but mainly to support the school in the Solomon Islands. I would also like some information about the Fiji tour in August if you have any. 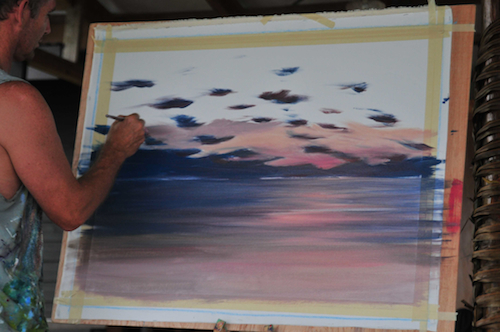 What a pleasure it was to attend Mark Waller's Beachscapes 101 Workshop in Pakenham. 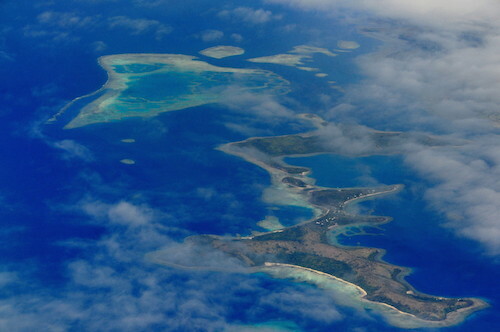 I learnt heaps and I had a great time, so much so, I booked the Fiji workshop. I have been wanting to get back into painting again after nearly 20 years of not really doing much. I'd dabble a little on occasion and maybe draw now and then, but I wouldn't call it painting . I jumped at the chance to attend Mark's workshop and I'm so glad I did. I learnt more in those two days then I ever did at TAFE or high school. Mark was able to explain everything in a way that was easy to understand and his passion and enthusiasm for painting was electric. I look at everything in such a different manner now, I see colours in everything, colours that I didn't see before. I have always wanted to learn how to paint water, I was never able to paint it before. I have a painting at home that I did in 1997, that now, after a bit of practice, I might be able to do it justice. It was an extremely relaxing weekend and Mark made me feel at ease, the banter was good too (its nice to have someone sitting in the gutter with me, ;-) ). I would recommend his workshops to anyone. 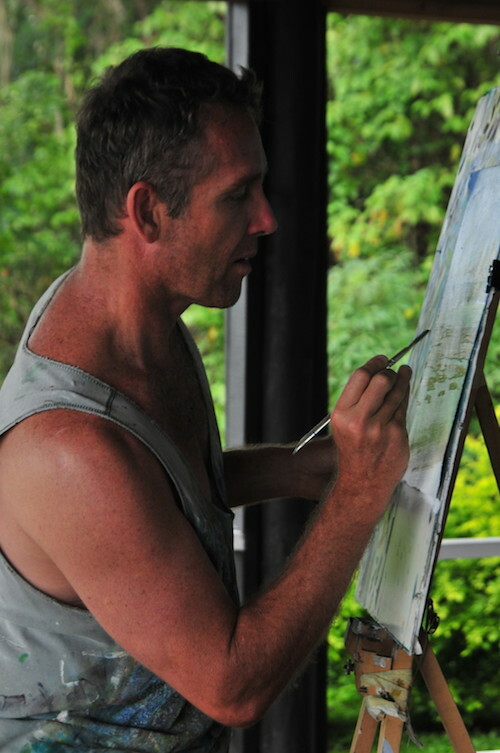 Mark has reignited my passion for painting and I look forward to learning more from him in Fiji. Although it was getting very hot to paint in the afternoon, I enjoyed the workshop very much and appreciated Mark's generosity in sharing his techniques and color mixing recipes. It was a an "easy" workshop to do because Mark was able to create a relaxed and friendly atmosphere among the students and was willing to share his own life and enthusiasm for painting with us with great humor and honesty. Thanks for organizing a great weekend. I have delayed my feedback until now simply because the whole experience was so overwhelming spiritual and exhilarating that it has taken some time for me to process this amazing time! Could not even sleep for two days! Frankie, I was not sure how I was going to cope with the workshop as I have vision and physical impairment ( both wrists are very painful from a previous accident and have limited use,) never having been to an art workshop, I did not know what to expect. There is so much I could say about this mind blowing experience, however what was so prevalent was that Mark is a master in his art and has the amazing skills to teach and make you believe in yourself. I believe his amazing passion and success in sharing his fantastic art comes from his beautiful spiritual soul and his love and dedication to make a difference as an humanitarian and leave a footprint in this world. He has truly broken the block I had with beginning to paint and has taught me skills to get on with having fun with my brush and paint!! Not only is he easy on the eye, ;) but he is bloody funny and cheeky! Love him and his art with a passion!!!!. It was worth the long wait. can’t wait for the next one! Sorry you did not come as well, but it was evident that we all love you, and I commend you in trying to get the workshop notes out of him ;) Look forward to receiving them. Warm regards to you both!! Thanks again to the gorgeous Penny Stanton at Inspired Artspace, and all our wonderful participants for taking part in our workshops this year. Many thanks also to Chroma Australia for providing the Atelier Free Flow for our Splat It Out workshop! Yeah Chroma! For the workshop notes for Split Personality, click here. For the workshop notes for Splat It Out, click here. I really enjoyed Mark's workshop. His teaching style worked for me. I enjoyed how he split the process and the use of each canvas. He was approachable and had lots of good helpful tips along the way to share. I was not one of those who expected to go home with a finished product. I did not feel pressured to do this. So I focused on what I needed to at the time. I felt I went home with a bag of goodies to test out and practice. I have to add that Mark's sense of humour and outgoing personality was just as valuable to the success of my experience. I would not hesitate to attend another workshop of Mark's next time he's down. Hopefully I'll be available. So please keep me in touch. And thanks for the notes they will come in handy. Many thanks for those workshop notes they will help me tremendously. I just was about to scramble out my note book and sort things to put it onto a useful looking page . This note will take all the hard work out of it and there won't be any misunderstanding in case I got somethings wrong. I am so thankful to Mark for all everything I was able to learn in his workshop it was so relaxing. Acrylics and this mural I suppose to do, was a nightmare to me. Now I do have all the confidence to go ahead with it. This was absolutely a great workshop I enjoyed every minute of it. I now only have to sit down and create my Mural. Should my health allow it I certainly will be back for more and next time for pleasure only. This time I had to kick-start myself and it has done me a good. I didn't have a paintbrush in my hands for years. Thank you so much once more Mark. I loved the whole weekend. It was easy going/fun. Loved learning new things. Due to arm/shoulder issues I couldn't finish 3/4 canvasses. But I always love chatting and watching others. Thank you Frankie for the notes on our workshop. I loved the workshop and learnt so much (just have to keep practicing now). Mark is a great teacher and sooo very patient it's always a pleasure being in his class and I look forward to his next workshop at Chittaway Bay. Oh and I can finally see I'm making progress with my painting thanks to Mark. Hi Frankie, Loved, loved, loved the workshop. Mark has done a lot work breaking down all the different components of creating a painting and how each relates to the whole. He is happy to repeat concepts, has a thorough understanding of Interactive Acrylics : colour, mixing, brush strokes and delivers his knowledge with authority and comedy. It is obvious he loves painting.....almost as much as teaching. The workshop got me out of my comfort zone using colours I don't normally use and also the speed of painting 5 canvases in 2 days. I found it difficult not knowing what I was going to paint without an example of what it was going to look like at the end. Thank you for your email. I thoroughly enjoyed Mark's workshop. I was the "quiet one in the corner". Before attending the workshop I had painted a total of 4 acrylic paintings and this was my 1st workshop ever!!! 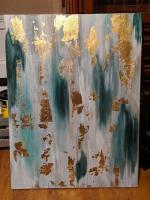 I learnt a lot about building up a painting and gained confidence in splatting paint on a canvas. One comment is I would have liked an intro at the beginning of Saturday since I didn't attend Thursday/Friday. Maybe go around the group as well. And a bit of info about how the class was going to be run. Don't assume everyone knows what happens in an artist workshop. In saying that, I am definitely coming to another later in the year. Would love Mark to run one locally in the Northern Rivers. Thanks for the info Frankie. The workshop was fun and informative. We both really enjoyed the weekend. "Everything You Wanted to Know About Seascapes"
Click here for the extensive, 23 page workshop notes!!! Thanks so much for a great weekend. I thoroughly enjoyed the workshop and learned heaps. I loved the relaxed atmosphere and even found some of Mark’s jokes funny – well, almost. Thanks also to Frankie for all your work to make it all run smoothly. Looking forward to the next time I can do a workshop. Not having enough input over two wonderful days with Mark, I found myself trying to get my head around painting that coffee coloured water we saw all over Tassie but especially Arthur River where the contrast was, in a word, amazing. A ‘eureka’ moment … all that talk of substrates & reflected skies came together with simple clarity. I dragged out all my shots from Arthur River & other tanin water from the trip and there it was for me to see …. coffee coloured water, no substrate buuuut … reflection so clear so obviously the sky colour … wow! The aerial shot of the Arthur River entering the sea led to that ‘eureka’ moment … it is so clear! Once again … many thanks for all your organisation & hard work for the two days. To Mark … keep your amazing talent growing. Thank you so much for the generosity in your teaching … very much appreciated. As an artist I always found myself looking at light sources & resulting shadows but now I see reflections … everywhere .. the picture is becoming much more complete!! Sky blue was reflected on my deck rails this morning .. go figure!!! just a short note to thank Mark and yourself for a very enjoyable workshop. Mark asked on Sunday if we thought we had learnt anything and there was a dead silence as we all thought 'yes we have but what is it?' There was a lot to take in and thank you, good fairy, for keeping the notes and clarifying points at the time of the demonstrations. My mother asked me if it was a good workshop and was it worth the money. I said definitely yes, it will take some time to absorb, reflect and practice. But, as I told my Mum you can't buy talent it's a gift. Thanks Frankie – You are amazing and you write beautifully. The workshop crammed so much in I ended up feeling really overwhelmed – but this helps enormously. Thank you for the notes..you have covered all the details. Thanks to you and Mark for a great workshop!!! We had such a great time at our first workshop in Esk. Many thanks to Deb and Lynne for getting this one started. For the workshop outline, ﻿click here﻿. I keep failing the workshop ... no only joking, Mark is very supportive even when each of us is critical of what we have done. Painting is my relaxation and so I book in the workshops to make sure I am painting on a regular basis. I book into Mark's because of his ability to make it seem so simple. You might even be surprised to know that I'm considering repeating the Pandanus workshop for a third time, and doing this with all workshops. Why repeat? Well it actually relates to how Mark explains painting, being able to see the concepts, being able to actual do the brushwork and techniques, and finally presenting it as an interesting story. In the first workshop, I'm concentrating on basically copying exactly what Mark is painting, understanding how to do the brushstrokes and colours. There is so much to take in, I sometimes feel overwhelmed. But during it he opens my eyes to the concepts, how the light plays and reflects. I go home and then start to try to repeat it and find there are areas that I just haven't grasped properly. And meanwhile, my eyes are opened to seeing cadmium yellow medium in the late afternoon sky, or the blue reflection on the back of waves. Then in the second workshop I didn't copy Mark's painting. It was in the vicinity but at a different angle so I can check that I grasp the concepts this time, testing myself but having Mark there to clarify and check. Of course, it consolidates the knowledge again from the first workshop, but I always gain another gem of information. This time I finally understand that I've interpreted dry brush too literally. Each gem feels like a leap in my painting. So now why do it for a third time? This time I'd like to concentrate on making the painting interesting. I'd like to bring a couple of paintings that I've worked on and this time concentrate on getting the highlights that Mark explains and bits that make it pop. But also circle back and focus back on the brushwork and colours. Pushing and pulling my painting, as Mark says. They say it takes 10000 hours to make an expert, so I've still got a long way to go on pandanus. But thanks to Mark I'm a little bit closer. Thank you for the workshop notes they will come in very handy in the next few months as I try to master this technique. I found the workshop to be very informative and has excited me to want to paint a lot more using this style. Mark was very helpful and easy to listen to. He broke down the information into pieces I found easy to follow. Thankyou for holding this workshop in Esk I enjoyed it immensely and hope that the next one isn't too far off returning to Esk. Again another workshop I thoroughly enjoyed and learnt heaps, Jill and Jan could not believe how forthcoming Mark is with this knowledge, and then the notes you do for us. Jan was impressed with Marks teaching style and said that you are an added bonus, not only for the notes you do but for asking the questions we didn't know to ask from Mark when he gets involved with the moment. Again thanks for a great week with like minded people. What a great workshop. Mark;s approach was enlightening without being intimidating. Frankie having you there was very beneficial, leaving mark to teach. You taking the extensive notes are invaluable. A wonderful, info-packed day was had at the Lennox Arts Collective HQ premises in Lennox Head. Just wanted to say a big thank you to both you & Mark for another excellent workshop. Shannon absolutely loved it & is really keen to do more. She was super impressed with the great observation & communication skills Mark had (which we already know!) but hopefully good feedback from a young uni student anyway. As always I thoroughly enjoyed & look forward to your notes to help remind me of everything I've forgotten :) Thanks also for creating a 'space' for both of us to share, its always very special to enjoy time with our daughters. Thanks a lot, Frankie, for the notes!! Wow - 12 pages!! It was another good and instructive day learning from Mark about how to properly observe what you're looking at, and correctly reconstruct it onto a canvas (ie the subtleties of light on, and growth of, pandanus leaves on tree trunks). I am determined to actually complete that painting I started - just to show I Can do it. The reflective light principle goes with everything of course - anything you look at. I live amongst palm trees at our house and the leaves are at window level (at the moment, till they grow even taller and we'll only see trunks) and I'm always looking at how the light is focused on them at different times of the day. Just too many itsy bitsy bits to paint them though!! 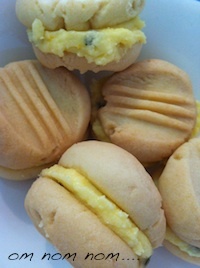 Will definitely be giving those passionfruit bickies a try too!! Thanks so much, again, for a great day. Thanks so much for organising such a wonderful, fun and informative, (though brain-draining) workshop day! You packed so much useful information into one day it was a bit mind boggling, but backed up with Frankie's great class notes and photos to jog the memory it's become a great resource. Cheers and thanks again for a great day! Thankyou so much for your notes. They're very comprehensive and contain so much info. It was great that you were able to keep track of it for us, so that we could really concentrate on the practical side, and immerse ourselves in painting for the day. "Sun, Sand & Surf - Revisited"
A gorgeous, summery weekend in Woolgoolga produced another excellent learning session for our wonderful participants! And for the extensive notes, click here. Thank you for the receipts and I await with bated breath the receipt of your copious notes. I think you wrote a whole book over the weekend and I can't wait to receive it. A big thank you to you and Mark for a wonderfully informative weekend. I learned a huuuuge amount and will now try to practice the techniques. I wish I could have been better at it though!! Lol. If you ever come to Brisbane with another workshop, please count me in. Thanks for a great painting workshop over the weekend. I was at the beach yesterday and all I could see was Mark's seascape painting from the workshop....the colours, waves etc! "Beachscapes* | *focus on pandanus"
Another beautiful weekend on the Sunshine Coast learning how to paint pandanus and beachscapes. Thanks to all our workshop participants, particularly those who came a very long way for this workshop! Had a great time, I have promised myself one workshop a year with Mark and look forward to it. Thanks again guys look forward to next year. Thanks again to Penny from Inspired Artspace for facilitating our workshops at Chittaway Bay Public School Hall! And of course to all our fantastic, enthusiastic workshop participants! And many thanks to Chroma Australia for providing the Atelier Free Flow for the Chuckin Paint workshop! Woohoo! Good Evening. Just a short note to let you know how much I enjoyed the workshop. I found everyone really easy to talk to (even though I don’t hear very well} and Mark made sure I sat very close so I could hear what he was saying (he really is a love). Thank you for the workshop notes, I had a great time at Marks Chittaway Bay workshop, this was my second workshop with Mark and will be coming back for more. Mark is a very kind and generous teacher so patient and always ready to answer and explain any questions (even when asked the same things over and over). Many thanks to Deb and the wonderful participants at our first workshop in Oakey, QLD. We all had a great time together exploring the secrets of the underwater world! And for feedback from the fine femmes, read on! Firstly, I’d like to than both yourself and Mark for agreeing to come up north a little to see us in Oakey. I am so appreciative of you holding a class here (we are often forgotten about west of the range). The two of you work together like a well oiled machine. Things just ‘happen’ with no fuss or hassles. A credit to both of you on your professionalism and organisation. The class itself – I can’t talk highly enough of Mark. His passion for his craft is very evident. His passion for sharing that talent and making sure everyone in the class walks away with their own masterpiece and a new found love of art is also very evident. His whimsical sense of humour ensured we all enjoyed the class. It was never too serious. As a relative newbie to the painting world, I was so impressed with how Mark presented himself and passed on his knowledge and skills. I learnt more on the first day than I have learnt in a combination of all the classes I have attended in the last 12 months. It doesn’t feel like a paint by numbers class, and we are encouraged to explore paint and tools. I actually went home feeling super excited about what I’d learned and caught myself looking at things in a whole different way – colours, “cellophane layers”, lol, anatomy – everything. I’m excited about being creative again and I thank you for that. I can’t wait for the next class, and my hubby was so impressed that he has offered to help me go to Fiji NEXT YEAR as a 50th birthday present. I’m sure I’ll see you before that though. And Frankie – I can’t believe you cooked that chocolate cake – amazing. Ps – my uniforms are little tight this week, lol. Thank you for the warm and inviting learning environment you created at the Oakey Underwater workshop. I have walked away with many more creative painting tools and with practice hope they become skills. Whilst I missed the second morning session I found your notes and photo's have filled in that gap for me, you are both warm and generous people, and it was a pleasure to meet you both. I look forward to attending another workshop in the future and would recommend Marks workshops no matter what skill level you are at with your art, there is always room to learn more. The underwater secret workshop was wonderful, Mark you gladly pass on your knowledge, skills and answer any question- you have made me think more about what, why, cause & effect and the structure . The way your palette has history/recall - this alone has made painting more pleasurable for me, I feel I have finally gained some control over this area , "I sealed a "BIG" board today" and thanks to Frankie for organising this workshop and us and asking the questions we didn't know we needed answers to - looking forward to another workshop. Thanks for the most comprehensive notes (not to mention the cake recipe!) – this is the first time I’ve been to a workshop with such great follow-up. It’s a brilliant idea as it is easy to forget a lot of the information once you’re back home. The workshop itself was just brilliant and I loved every second of it. The plan of attack was very well thought out with no wasted time waiting for paint to dry or waiting for stragglers to catch up. The layout of the venue was also good, with everybody able to see Mark’s demonstrations and plenty of space for all the attendees and our equipment. Mark’s relaxed attitude and sheer generosity with his knowledge made for a highly informative and enjoyable couple of days. I would totally recommend one of your workshops to any artist of any ability. Also, the information we were given beforehand, little things like letting us know there was a fridge if we were bringing our own lunch, etc. were invaluable. Thanks again for a great weekend, I will definitely be signing up for a future workshop. I was a complete beginner and wanted to know everything. I literally had only picked up a paint brush 5 weeks before attending the class. I was nervous to attend as such a beginner but Mark is such a great teacher. I learnt an enormous amount about colour, brushes, brush techniques, and perspective. The whole workshop was a joy and the workshop notes were a great asset. While I was not able to complete my whale painting in the class I went away with enough knowledge to finish it on my own at home. I’m very proud of this piece. You were asking us for a couple of sentences in regards to Oakey Workshop and I would like to commend you both on a truly enriching experience, I thank you sincerely! This may come across as more of an advertisement than anything however am sure you will find it entertaining. If your creativity has become stifled or perhaps you need to brush up on the theoretical approach to enhance your own style I can assure you Mark's Workshops will not only inspire but delight you! The entire weekend being structured to incorporate basic painting skills through to more complex explanations as Mark not only demonstrates but continuously reinforces strategies in delivering and breaking down information to easily process and apply to our own paintings in a very relaxed environment. Frankie provides the safety net for the entire workshop recording information for us to access later, complimenting the generosity of spirit and knowledge that flows freely throughout the weekend. So if your needing a spark to ignite your artistic passion I was TOTALLY ELECTRIFIED! Many Thanks to you both for a wonderful experience! Many thanks to the wonderful Pat and her family for facilitating this great weekend for us! Hats off to you! For the workshop notes, please click here. Really enjoyed Mark's weekend workshop at Bayway Village. It was a great weekend and I learnt heaps thanks to Mark and his easy teaching style and humour. Pat told me I would love Mark and the way he teaches she was not wrong and I wish I could attend his next workshop but unfortunately I am not well enough as I know that I would love just throwing paint around. Once again thank Mark for me please. Thank you for the notes, I shall pass them on. Thank you for all the correspondence re: the workshop it was quite a busy time that I had set myself, but I was so determined to give the ladies of our art class a chance to experience the teachings of a professional artist, especially Mark as he can communicate so well with people and I knew they would adore him as a person and admire his amazing art ability, this is exactly what happened, yippee!!. PS. Mark was a pleasure to deal with. "Everyone Wants To Paint Water"
Thanks, thanks and more thanks to all the wonderful people who made our first WA "tour" an amazingly fun and productive time. We will definitely be back "over West"!!! Here's a couple of thoughts from some of our fantastic and lovely participants! It has been a wonderful learning curve for me. Hopefully I will meet you when Mark comes back. Please thank Mark on my behalf for sharing so much information, and for making the workshop such fun. Just a note to say how much I enjoyed the two day workshop with Mark and Nic which finished today. Mark's demonstration paintings were wonderful. He has a great way of sharing his techniques, with humour, confidence and great skills. I have lots of practice to do and shall find the DVDs invaluable. Nic was a delight to meet, she was so friendly and helpful. I hope that Mark and Nic can return to the West soon. Awesome! Mark teaches as well as he paints. He gets everyone relaxed and excited about painting before delivering a clear, detailed and precise explanation in a way that everyone from beginner to advanced can understand. I would recommend mark's classes to anyone wanting to achieve great results, as well as be included in a fun class with lots of learning and laughs along the way. Just wanted to send a mail in thanks to the team for a lovely couple of days. I booked the workshop for my mum, as she totally lacks confidence in herself and I thought that with Mark’s style of teaching and my support she would realise that it is not so scary being in a “classroom” environment, that she doesn’t have to learn on her own. I basically only picked up a paintbrush so that I would know which end to use when it came the time (and thankyou for suggesting practising gradation – mine didn’t look too terrible on the day). On the weekend I was very quick when introducing myself to let people know that I wasn’t an artist, that I was there with my mum and with L plates firmly affixed. I would definitely workshop with Mark again if the opportunity arises. Thanks Frankie – I have all the info now. Mark was a delight to have tutor us. Have had very good feedback from those that did the demo as well. Would love to have him and his lovely wife back some time to maybe do a workshop on plein air painting. He seemed most interested in that...and we do have some amazing coast line here to paint. Thank you for the notes on the Freo workshop, very much appreciated. I enjoyed the workshop, now looking forward to putting into practice the techniques and applying the colour recipes, wonderful. Many thanks to the lovely crew at Manly Sea Scouts Hall for accommodating our messy and raucous crew on the weekend! And thanks to all our participants for "getting loose" with their lovely seascapes too. For the workshop notes, click here! "Beachscapes - Perspective & Atmosphere"
Click here for the Beachscapes - Perspective & Atmosphere workshop notes. Click here for the Coastal Foliage workshop notes. Click here for the Dolphin Dreaming workshop notes. Many thanks to Peter With, the Regional Arts Development Fund in conjunction with Southern Downs Regional Council and Arts QLD for facilitating these workshops. Mark and I had a great time with all the wonderful participants, so thank you all so much for your warm hospitality! We hope to be back again in November 2015. For the workshop notes for Warwick, click here. And for Stanthorpe, click here. And for some commentary, read on! Thanks for the notes on the workshop Frankie, I didn't realise we covered such a lot of territory. No wonder I was tired at the end of it. It is going to take me some time to get through this and put it into practice. Many thanks for the workshop notes and V-Logs, received and downloaded successfully. Fantastic! Hi Frankie and Mark, notes successfully printed. Great to have them as a reference. Loved the workshop and I know the techniques Mark demonstrates will be very useful in future painting attempts. Thanks again Woopi and the WAG's for a wonderful weekend chock full of learning, painting, and even a bit of science! For the course outline, click here. For the course notes, click here. And for some valuable feedback from our lovely ladies, read on! Thank you Frankie for the notes - Thanks to Mark also for all his effort last weekend. As I missed you when I left yesterday I want to thank you for a very enjoyable 2 days. You made everything run so smoothly and along with Mark's knowledge and enthusiasm it was great!!!!! You guys feel like you live here and just go away a lot. Keep comin' back!! Thanks for all you hard work on the weekend, look forward to receiving your notes. One thing I thought could be a good idea is to have a cheat sheet available on the day of the colour mixes used for the various parts of the painting as I found it hard to remember all of them. Many thanks to all for a wonderful weekend in SA! And for the workshop notes, click here. Thank you for organising Mark in delivering a ‘Fabulous, Informative, and Entertaining’ weekend workshop here in Adelaide. We all appreciated the fact that he decided to visit our city and share his talent and wisdom with our small but enthusiastic group. My brain is full and I’m sure that I will have a number of ‘lightbulb’ moments in the coming weeks/months/years as I try to put it all together and see some positive results. Thanks again for all your organising behind the scenes and of course to Mark for generously sharing his amazing talent with us. I wanted to thank you and Mark for organising a very professional and enjoyable 2 day workshop in Adelaide. I am a pastellist who is very new to paint but I really enjoyed the weekend and learnt a lot. Fortunately I am very stubborn and persistent and will practice until I master it! No matter how long it takes!!!! We had a master pastellist from America who came recently but apart from that I find that very few artists , of any genre, visit Adelaide so it was so much fun to have Mark here. I really appreciate his family sharing him with us as, being a parent whose husband is away a lot , I understand the sacrifice that entails. Mark speaks very highly of you and perhaps we will meet another time. I did enjoy the session immensely. My head is full of new ideas and plans. Mark is a very warm and generous person with his gifts. Will be looking forward to doing the next workshop in the near future. Perhaps even on the Gold Coast. Mark spent another amazing week in the tropics with a fantastic bunch of painting people from all walks of life. What an amazing opportunity to paint and experience life in this gorgeous setting! Thanks to Paradise Courses for again facilitating an excellent workshop experience for all involved. 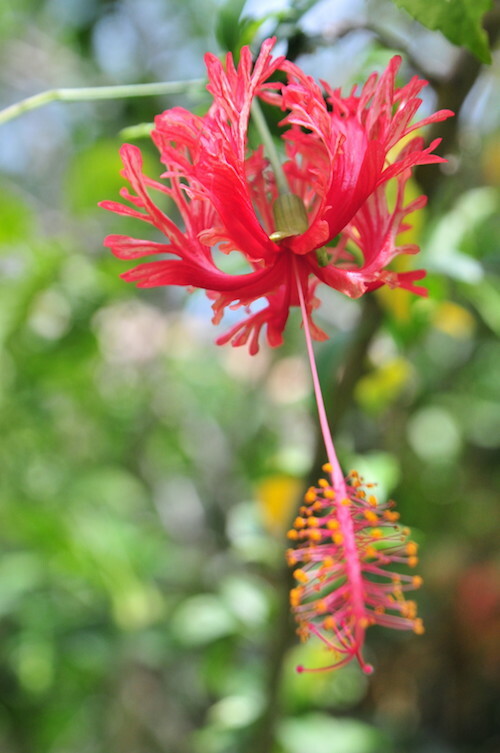 Many thanks to Ann Schmechel for providing the pretty photos below. For the 2014 course outline, click here. For the 2014 blog, click here. It is almost impossible, okay, it is impossible to express in a short paragraph what a magical experience we had in Fiji at Mark Waller's workshop. His ability to explain, demonstrate and teach are just incredible. He is not about "how I'll teach you" but rather "how we learn". He demonstrated the basics of painting in a completely different way, but more important, a whole new way to look at the amazing world around us, translating it into light, angle, color and depth. I left knowing that over all there is simplicity and an illusion with every stoke of the brush and mastering that skill and technique is the art of painting. This is mastered in one way-painting and painting and painting some more. Did I mention painting? 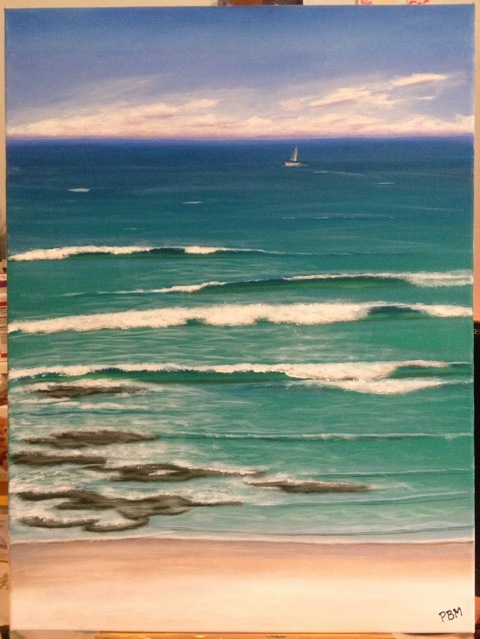 "Beachscapes - The Complete Picture"
Thanks to everyone for a gorgeous, sun-drenched weekend on the Sunshine Coast! Thank you so much for your wonderful workshop. I am so inspired watching your passion and talent. I'm very happy that you came all the way up here to do it. I look forward to doing another, but meanwhile , lots of colour mixing, brush technique and studying trees. Much thank you, to Mark and his wife Nik, it was a lovely experience, really enjoyable to learn and take away skills, that will make me look at painting in a new light. Thanks for the notes, I really need them. I had a great time at the work shop with Mark and the the rest of the group. It went so fast, Mark taught us so much, he is a very generous, talented artist and teacher. He really cared about what we were all trying to get out of the weekend. Absolutely great value and I can't wait to do another one! Thank you to every one concerned. Many thanks to this small group for a wonderful day in sunny Lennox Head! Hi Frankie, thank you for the most awesome day! I loved every minute. Learnt heaps, enjoyed the company & came home with a painting my family loves :) Mark is an exceptional artist & great teacher. I hope to attend his weekly classes once I sort out days off work. I'll call in to see him. Thanks to everyone for a beautiful winter's day painting whales at Kirra! And, for some lovely commentary from the participants, read on! Once again, thanks so much for Saturday! I totally and thoroughly enjoyed myself, as you probably gather. Feel free to copy my Facebook comments into your workshop feedback - I am telling the world! Thank you for sending me the outline of what we did the other day. It's good to be able to look at each stage again and refresh my memory. I will be in touch with any questions for my whale painting...there's a few things I need to touch up, Mark makes it look so easy at the time haha. Thank you, thank you, THANK YOU! To all the participants and especially to Penny from Inspired Artspace for our June long weekend workshops! Click here for the A Focus On Reflections course outline. For the workshop notes from A Focus On Reflections, click here. And click here for the Whale of a Time course outline. For the workshop notes from Whale of a Time, click here. please contact us immediately (type "JAN 2015" in the comments box). These workshops book out FAST! Many thanks for a great 3 day workshop, I feel that I learned a lot from you and I really appreciate the generous way you teach, hence less stress and more enjoyable, I am already looking forward to the next workshop. And I have so many wonderful memories from this weekend and it is spooky almost the way things tumbled into place allowing me to meet Heidi Wood and travel with her and now I’ve met Penny and I love that Wyong studio and all the people were lovely and Mark is divine! And I’ve wanted to work with someone who can paint in the realistic style for sooooo long. The weekend left me feeling like some window had been opened in my life and brain. And I don’t think I’ve laughed so much during a workshop, either. Mark makes everyone feel so at ease with his open manner and approach. It is, I think, rare when someone has so much talent and is able to convey it to others and is willing to do so. And can take a good pay-out! Once again, thank you for the extra mile you went in trying to get me there. I do feel a bit like I’m in the club now. Cheers. Look forward to meeting you sometime and big hug for Mark. I am in Caloundra and taking Mark's advice of watching the sea and surf roll in.Fascinating. I guess for me what I found that some more experienced painters grasped the techniques easier than I did. They finished their painting I did not. How you get around this I don't know but I felt maybe more time could have been spent with the newer artists. We all paid the same money. Just a suggestion. Maybe workshops aimed at advanced and another for newer artists. I have Mark's Dvds with me and because of the workshop they are making more sense. I guess it is practise, practise,practise. I would do another workshop with Mark. Many thanks to the wonderful folks at City of Ryde Art Society and Willandra House for having us in Sydney again! A *HUGE* thank you to all our participants, so lovely to see some of you back again for another go around this year!! Our brains were once again (over)filled with wondrous painting knowledge direct from the hand and brain of Mark. For the full notes from the workshop, click here. Thank you for the notes - I'm going to enjoying reading through them and practicing what I learnt. I really enjoyed the workshop thanks to you and Mark and look forward to doing more workshops with you both. A Great. Big. HUUUUGE THANKYOU!!!! To all our wonderful workshop participants - Nikki, Heather, Pam, Renita, Maria, Karen, Gill, Rob, Gale, Max, Beryl and Linda!!! Thanks also to Karen, Renita and all the WAG members for facilitating this event so beautifully. We had such a wonderful time! For the VERY extensive workshop notes, click here. Well! What a weekend. Despite all the very vocal whinges and grizzles about tired legs and heads, I have never seen a happier bunch at the end of a workshop. I have spoken to a few participants and the praises for Mark and yourself are ringing loud and freely. Thank you both so much for enriching our painting lives in such a happy, friendly, powerful way. It was an education from beginning to end. Mark is humble in receipt of praise, but truly, he is a very generous sharer of knowledge. I suspect this reflects his overall nature though he'd never admit it! Same goes for your place in the proceedings. Never under value the calm voice of clarity that you deliver! Thank you both, I hope this is the beginning of a lovely friendship between gorgeous Lennox and lovely Woopi. P.S. I've got my paintings next to the TV where I always put the newbies for a day or two. I can't believe what he got me to do! Warts and all they are a quantum leap forward in painting terms. I know where some of the errors lie but still am amazed by the bits that are right...or at least heading there. Amazing teacher. I enjoyed the workshop on the weekend. I bought some better brushes and had a go at the first exercise of gradation and waves. The paint went on a lot easier and I even made some bits I really like. So I’ll keep at it. Thanks Mark for encouraging me when things weren’t going quite right for me, I appreciate that. Frankie thanks for taking the notes, no mean feat. It made it a lot easier for us all to follow/keep up with Mark. I’m really keen now that I have a better brush. I hope you've had a safe drive back home and can relax for a while after a job very well done! Thanks for a terrific weekend. Mark is a wonderful presenter - full of energy, passion, information and inspiration. And Frankie - you kept everything running so smoothly and took such good care of us all. The pair of you make an extraordinary team. All the best for what sounds like a busy year ahead. Hope you can come back our way sometime soon! What a wonderful time we had , and learnt so much from Mark - he packs so much in such a short time , thanks again to you both Frankie. Thank you so much for the notes Frankie, I think you were doing more work than us. I want to thank you both for a really great workshop. Thanks Mark for the fun, simplifying the "strategies " and the generous sharing of your vast knowledge and skills. We become so bogged down in all the info out there, this workshop was a real refresher. I have been painting a long time, became jaded, but this has got that initial excitement back. You tutor in a way that gives confidence in being able to apply what we've learnt individually, hopefully skilling up as well, once on our own. I can't wait to get stuck into it. Thank you so much for the workshop notes. I thoroughly enjoyed the workshop. While I have done many paintings of beach scenes, I didn't consciously look at all the elements. Using Marks method should (well maybe) give me better paintings. The workshop certainly gave me renewed enthusiasm. As an aspiring Artist Mark Waller's workshop and dvds has opened up a new way of seeing the world and of how to paint it. Mark is a kind and thoughtful teacher who guided us through his painting process, sharing his knowledge and wisdom with everyone in the workshop. He was simply amazing to watch and learn from and for anyone wanting to learn to paint water Mark Waller is the artist for the job. Thankyou again for such a wonderful knowledge filled weekend. Many, many thanks to Penny at Inspired Artspace at North Wyong for hosting a great week of workshops! And thanks always to all our fantastic participants! For some notes - (sorry everyone, I had to rely on Mark's memory for these!) click here. Just wanted to say I totally enjoyed the workshop you held at inspired art space with Penny, It was awesome. I learnt so much although on the days I may have looked like I was not sinking anything in just had a dumbfounded look on my head the whole time, mainly blown away with what you can do and in such a short time Mark. I sponge it all in then once everything is said and done I start trying to process it all. I know you have years of experience but still your work is amazing. Now I have had time to look back and process everything I am pretty positive I too in baby steps can start learning to produce creative art on canvas. Thank you so much for sharing your knowledge and tricks and tips I will be putting them to use... loved it..
Firstly I would like to thank Mark for the great 2 days I enjoyed with him at Wyong recently. He was extremely generous with his knowledge and I came away feeling armed with lots of useful info. Just a thank you Frankie for informing me about the course, I had 2 brilliant days with Mark. Thanks to all the wonderful people who had their brains twisted inside out for this workshop! So informative! So simultaneously inspiring yet overwhelming! For extensive notes & references, including the yummmmmmmy mini Xmas puds recipe, click here. Thanks again to you and Mark for a terrific workshop. Lots of fun and informative at the same time. Mark never ceases to amaze me with the ease and openness he imparts his vast knowledge. I wish you, the whole team, and your families a very happy Christmas period and an even better New year. Here's hoping for more workshops next year. Every time I attend one of Mark's workshops I come home with new ideas and feel energised to paint. This one was no exception, with plenty of humour and useful information that will help my paintings get to the next level. Mark has the uncanny knack of being able to use everyday language and real life examples to explain what I originally feared would be complex concepts - so, for me, he provides clarity and direction. All without an ego. Good food, too! I've got say that my life has not been the same since… its opened up a new world, I now look at landscapes/water differently now and there is no turning back!! And how delightful I say. My perception has exploded and my physical will catch up with practice, I am certain on that. Thanks for all the links and notes, very helpful to reflect on and for emptying my water jar! Thank you Frankie for the notes, that is a lovely bonus to the workshop. The workshop was great, but it also reminded me how hard it is to paint well, and how much I have yet to learn. Another exhaustingly informative day (Kirra 30th Nov.) - Thank Heavens for your notes Frankie!! Soooo much to remember and try to put into practice - this demands real concentration (cos Mark's not in our homes to guide us). Thank you also for the yummy Christmas puds - I'll give this recipe a go too! Merry Christmas to you both, and your families, and a great 2014 to come. "Water - Clearer Than Mud"
For course outline on this fun weekend please click here. Click here for workshop notes and reference materials. I had a great time at the workshop on the weekend - learnt heaps, and feel inspired to continue learning to paint! Just wanted to thank you for making the long hike to the Southern Highlands to share some of your paintifying knowledgisms with us. It was as much fun as it was informative. "Simplifying The Complex - Water"
For workshop outline for the full day workshop - please click here. For the full day notes click here. What a fantastic time Susan and I had on Saturday with Mark. I felt very blessed just to have discovered the email about it in time and to have the necessary finance (having just arrived back from England on the Monday). It was inspiring, delicious, scrumptious, a bit like chocolate ya just can't get enough. Tell Mark I cannot wait for the notes and would you believe, I got all the way home and thought as I put his little painting down, I didn't get it signed. LOL. So I will just have to attend another workshop in the future won't I. Thanks again so much for emailing me and tomorrow I will paint for a whole day and finish my wave. I attended your half day workshop at Mount Barker on Friday. I wanted to say thank you. It was just fantastic and I learned soooo much. Your practical tips and easy style of imparting information made it easy to really get inspired. I thoroughly enjoyed the day and can't wait to start trying new things out at home. Please feel free to use this email as a reference, not that you would need one! Thankyou for going to Mt Barker, we need more people like Gail Weaver to organise workshops. I’m inspired to break from the “Gary mould“ and use more paint –(when we get our Interactive range), and to use white while still creating luminosity. I hope Gary also has altered his ideals about brush use and application of colours. Its funny that as an Australian I have brighter colour pallet than Gary from the UK! You are an artist with a tactical mind (the story of going to the beach break because the point was to crowded and 2 car loads of invaders rocked up at your break springs to mind), pleasant personality, and a talent for painting shapes in real proportions. I think I added myself to your mailing list over the weekend; if not I’ll do it now. Just wanted to thank you and Mark for the fantastic coordination and workshop in Mt Barker this weekend. The participants loved every minute and have already asked for the next one. Look forward to further workshops. Our first time at Kirra Community Centre - great venue! Maybe a tiny bit challenging to actually find, but once we got there we discovered a light-filled room, gorgeous high view of the ocean, and a great group of enthusiastic painterly types. Away we go! To read through the comprehensive workshop notes, click here. Just a note to thank you and Mark for a great day on Saturday, very relaxing and informative. I will be practicing his method from today ( if I can remember it all). Another funtastic workshop at Kirra!! Thank you!! So much to learn and remember. Maybe Mark can work on a hologram version of himself to take home after the workshops, so what he teaches can be repeated again and again, in an endeavour for it to stick in my brain? Yes, I know - perspective and looking at things in the different lights - and practice, practice, practice, till it becomes second nature. After a few years (ha ha). Mark is such a wonderful person to impart his 20 years of knowledge to help others try to achieve what they'd like to. 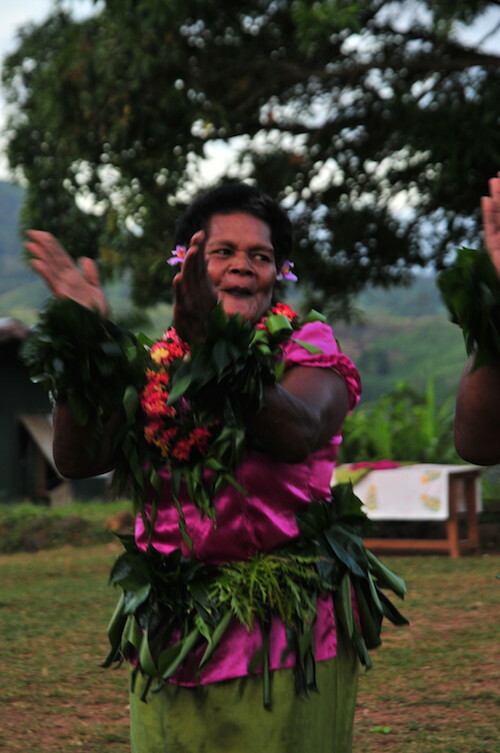 Such a fantastic tropical time was had by all at our first Fijian workshop! For more information about this workshop you can click here. What a fantastic crew of painting enthusiasts! Many thanks also to the very generous and entertaining characters at Ryde Art Society for allowing us to throw paint around in their historic venue at Willandra House. For the extensive notes on this workshop, click here. Thank you to you both for making the workshop so enjoyable. I have taken so much from the workshop. Now I need to start putting everything to practice that I learnt. Thank you so much for the workshop....met some lovely people and special thanks to Frankie for being water fairy, food fairy, all things needed fairy. Hopefully I'll be able to recreate some of the things we covered and remember to always ask myself.....what time of day, which part of the water etc etc! Fabulous 2 day Sydney workshop - in fact the best one I have ever been to - hope you come down to do another one in the not too distant future. A very small group for this one! Everyone had a wonderful time and learnt heaps! Or click here for the notes from the day. Had a fantastic day at Marks class in Lennox on 20th. 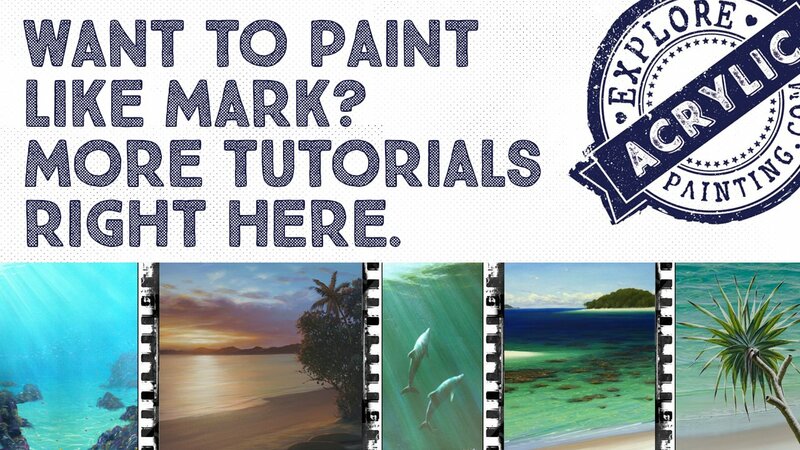 Mark is an exceptional artist, a wonderful teacher and is happy to share his vast knowledge. Thanks Mark. Had a GREAT day!! Thank you Mark. Have to practice, practice, practice with that limited palette!! So, thanks for a great learning day. Wow! What an information-packed day we had at Lindy Clarkson's studio at Carrara. I don't think we've ever had such extensive notes from a 1-day workshop. Click here to read what was discovered. It was good catching up with you and Mark at the Workshop. Rob and I had a great time and we both are now inspired to kick on and keep painting. I've been looking at the paintings we attempted and working out how I will improve on them. Although Mark covered much that I had viewed on the DVDs and at the Lennox Head Workshop, there were a number of things which were new to me or that I had forgotten. He certainly has a way of presentation which I'm sure will never get boring. One of the things which helped me understand waves was his analogy with a piece of glass. I don't think I knew that before and the penny really dropped for it to be a constant reminder when I'm painting waves. There was a couple other instances which I thought at the time were very good but they have slipped my mind. I might remember them when your notes are released. Regardless, the session was everything I told Rob that it would be and we were not disappointed with Mark's presentation. What a brain, what a talent. It must be fun for you trying to keep up with him. You are a terrific team. I would have loved to be in on the Fiji trip but being so close to our up-coming holiday we could not afford it. Maybe next time. If I get the chance, I'll certainly be keen to do another local workshop. I attended Mark's A Focus on Waves workshop on the 15th June and have to say it was fantastic day. Mark is a real character, making us all laugh with his jokes, stressing us out with how easy he made painting waves look (FYI, they aren't) and reminding us that painting is fun. He is a brilliant teacher and very encouraging - what you see on his videos is what you get, a very genuine person. (Mind you watching his videos are much easier as you can pause him till you catch up). I am so glad I went to the workshop, it is a day I will treasure forever. Thanks again Frankie, you guys are awesome - please let me know when Mark is doing another workshop on the Gold Coast as I definitely will be attending. Hope you get time to edit the vlogs soon, can't wait for them to be released. Thanks for an awesome day, we learnt a lot and it was so nice to meet you and Mark. "Everyone Wants to Paint Water - Take 2!" Mark injects plenty of fun, enthusiasm and laughter into his workshops - it makes for a friendly and relaxed atmosphere in which to learn. He generously shares his insight and knowledge, is supremely (!) patient with his students, and has a down to earth approach which is refreshing - and reassuring! I took a lot away from this workshop - I feel energised, smiling and ready to paint up a storm and tackle the world. Paula Martyn sent us this wonderful painting she did after attending this workshop. Thanks so much Paula - great job!! "Everyone Wants to Paint Water!" This was such a wonderful workshop spent with some great people on the Sunshine Coast! 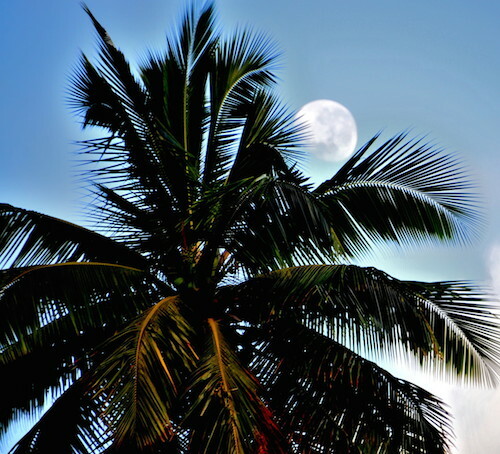 Trudi's sister Loni, a journalist from Noosa Heads, poked her head in for a look on the weekend and wrote a lovely article all about it. Check it out here. YES YES YES, loved every minute of the workshop! A big thank you for an even better workshop. I enjoyed the company but more than that I appreciate Mark's generosity in sharing his techniques. I agree with him that we take home the knowledge then incorporate into our own style of painting. I strive to be a better artist with every workshop I attend but I have to admit at the risk of pumping Mark's ego his are no 1. So far. Looks like I have put my hand up for piklets next round. Wow you girls can bake. Had a really great time we all enjoyed it and are telling a couple of others who may book for the next one. "Light + Water = Magic"
What a fun day with a great bunch of painting peeps! Click here to check out the workshop notes. Had a fun, relaxing and productive day – looking forward to practicing what was covered. Thanks so much for the workshop notes and I take this opportunity to thank you for your help during the class. I have already told you how much I loved it and would love to be able to do more. Please let Mark know how much I enjoyed the class and I really felt comfortable and you and Mark were so welcoming. I just loved Mark's refreshing outlook on painting. I was going to turn up on Thursday at Lindy's class wearing one of my husband's t/shirts and cut the sleeves out and put heaps of brush marks on it just for fun. Actually, my husband and I drove down to Byron Bay on Monday and I was both surprised and happy to bump into Katherine and we both were still on a high from the class. I've already watched my DVD's and did suggest to Katherine they would be handy for her too. Well once again thanks for Saturday and can you pass on my thanks again to Mark. I was just sitting down to draft a thank you note to you and Mark when your Workshop Notes came in. What a great day!! I didn't sleep much on Saturday night because I was still on a high and I was trying to reinforce into my mind all that had been covered at the Workshop. Mark, your presentation was everything I had looked forward to and I certainly wasn't disappointed. Now I have to practice, practice, practice. If I had you as a tutor some years ago I wouldn't have got bored and disillusioned with my painting. I look forward to meeting you both again when your Workshop comes up here. Thanks for such a lovely time on Saturday, what you are doing - and the experience you provide - is a real credit to you, you know! Please pass our best wishes onto Mark, he did so well considering his poor old hand - he blew me away when he managed to paint his sunset at the end of the day - I hope he didn't wake up too sore and sorry on Sunday. Thanks for the codes for the gift coupons and yes, I'd like to register my interest in the V-Logs - they sound like a great idea. Take care, Frankie, and we'll catch up soon. Click here to have a look at the workshop notes. And here is the workshop flyer. ......and here is the video montage! For the roundup of this wonderfully intimate workshop, click here! Many, many thanks to the lovely Bathurst ladies Penny, Frances, Joy, Sam, Hedy; and QLD contingent of Leigh, Carol M, Sharyn, Carol and Bev for joining us for the weekend. We had a great time! Check out what they learned and painted right here! Those of you who attended Mark's very cool workshop can click here for the workshop notes and recap! Thoroughly enjoyed the workshop last week – learned heaps. Cant wait to get those brushes working. I loved the workshop, hope you guys have another one soon as I have another lady and man who want to come. I feel I learned so much can't stop painting. The workshop was brilliant and I haven't got any negatives. All great. Thanks so much for the info. The workshop was so good, I loved every minute of it. Can't wait to put what I learnt into practice. Mark was great and it was fun. Love the newsletter, thank you. I think that week in Bathurst is one of the “highlights” of my life, “we” (the whole class) had such an incredible vibe and bond. Next week I have a quiet week at home and want to unpack all my painting things and get your DVD’s on and revise all the stuff you taught us before this scatty brain forgets it all. For all the latest updates on upcoming workshops, check with our workshops page regularly. Alternatively, subscribe to our ezine Acrylics Anonymous! 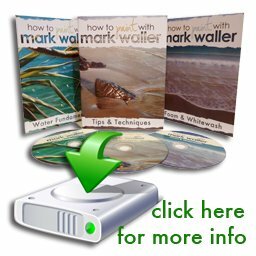 3-pack of DOWNLOADABLE DVD Tutorials for only AUD$80.00!